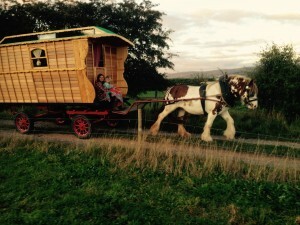 Hello and Welcome to Wanderlusts Blog! Here we’ll keep you up to date with all the goings on with Wanderlusts . 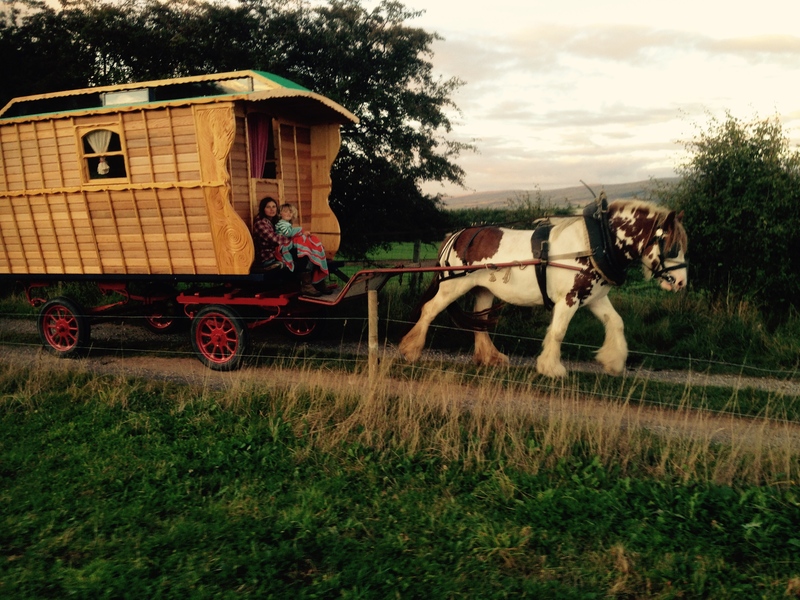 We’ve added a blog to our site because later this year , Katus, Madog and i (Barny) are to set off on a horsedrawn journey to fulfill a bit of our “wanderlust”,our desire to wander…. 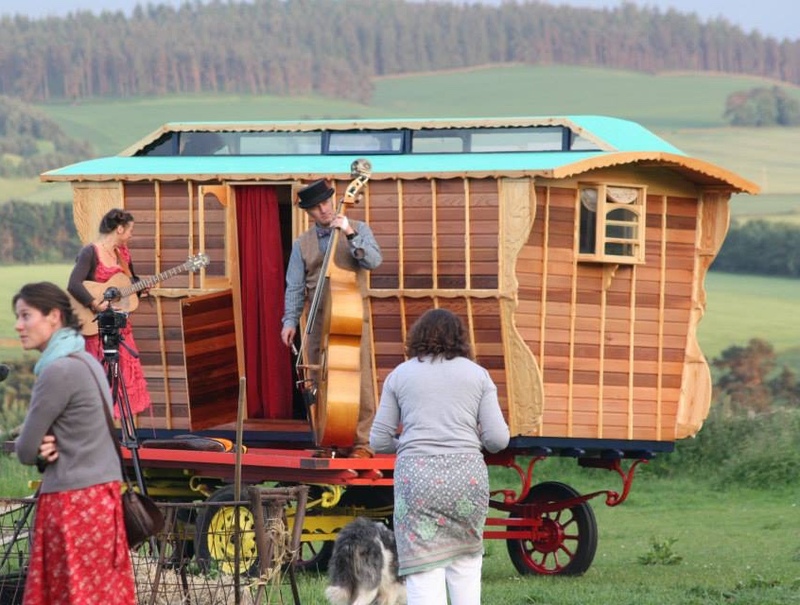 The plan so far is to set off, (destination unknown) and wander south with our new wagon with its fold out stage, from which Katus and other artists can perform from in towns and villages along the way. 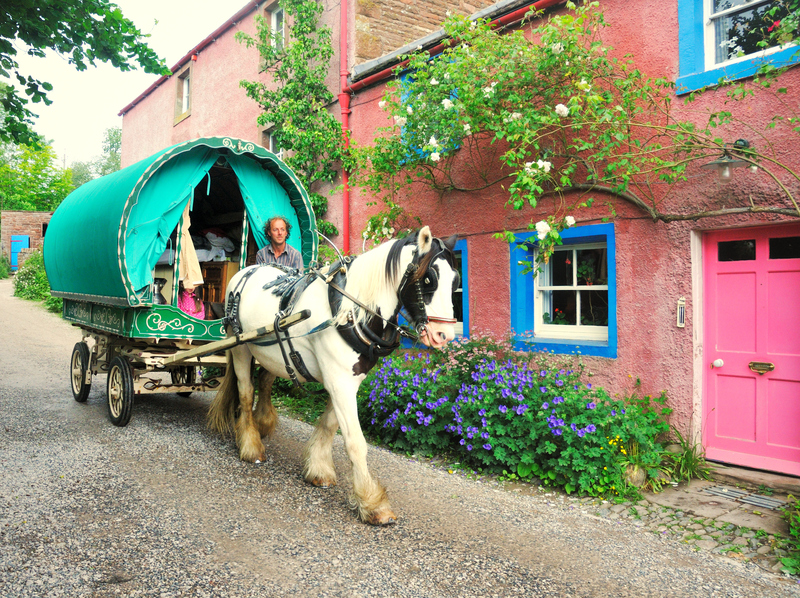 We shall also be offering selected dates for people to join us along the way , to stay in the “horse Drawn Hotel”, (an extra accomodation) for a truly authentic “on the road” experience…. Follow our blog to discover where we are on our journey and join us for three or four nights for a truly authentic taste of life on the open road. 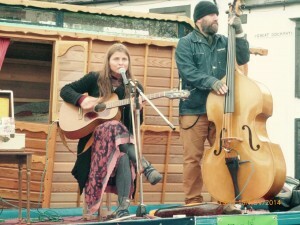 If you are a musician or performer, you may be invited to perform with katus on the horsedrawn stage at one of their impromptu gigs along the way. You’ll eat together around the fire, learn to harness the horses, maybe learn to whittle a spoon or weave a basket from brambles and discover some of the edible plants growing wild as you wander along country roads. 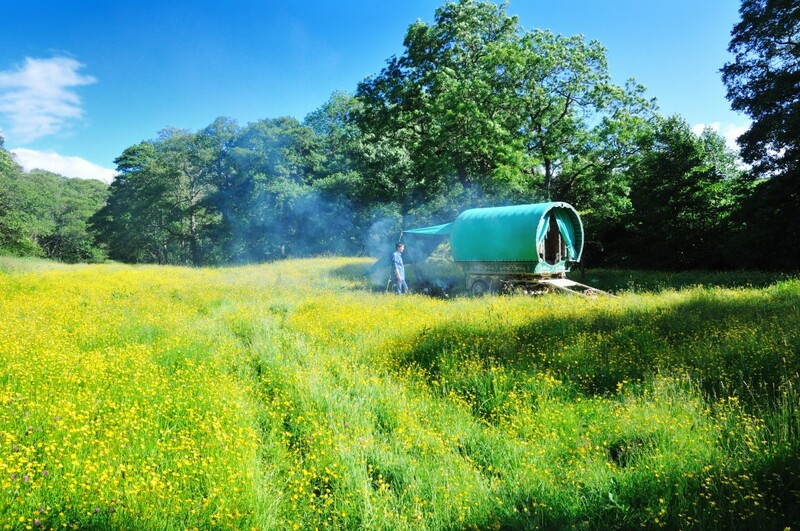 Trundle along quiet country lanes in a traditional horse drawn gypsy caravan, before camping up at one of our secluded camps where you can cook over an open fire paddle in the streams and immerse yourselves in the outdoors, before nestling up for the nights in the cosy wagon. 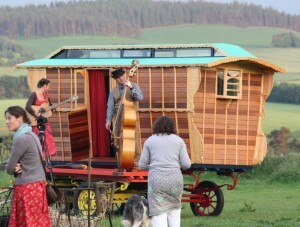 we’ll return to harness up the horse and trundle on to the next camp.